He has had a long illustrious career and has thrilled his fans by throwing down hit after hit. Don Minott has worked alongside reggae greats like Burning Spear, Toots Hibbert, Culture, Alton Ellis, Yellowman, Beres Hammond, Luciano, Sizzla, Damian Marley, Buju Banton, Morgan's Heritage, Maxi Priest, Anthony B , Etana, Marcia Griffiths, Wayne Wonder and the list goes on. 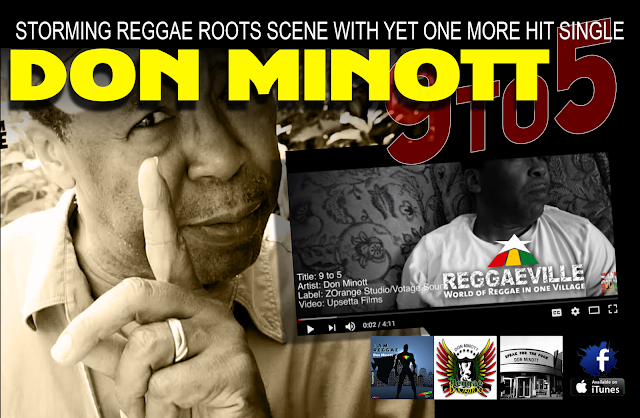 DON MINOTT is a Singer, Song Writer,Poet based in East Hartford,CT. USA. Born in Kingston Jamaica but grew up in Central Village St. Catherine, Don Minott grew up listening to reggae artists like Delroy Wilson, Ken Boothe, Bob Andy, Heptones, Freddie Mcgregor, Burning Spear, Dennis Brown, Horace Andy and of course the original Wailers. He started writing poetry during his high school years and later attended a summer workshop in creative writing at the Creative Arts Center in Kingston.